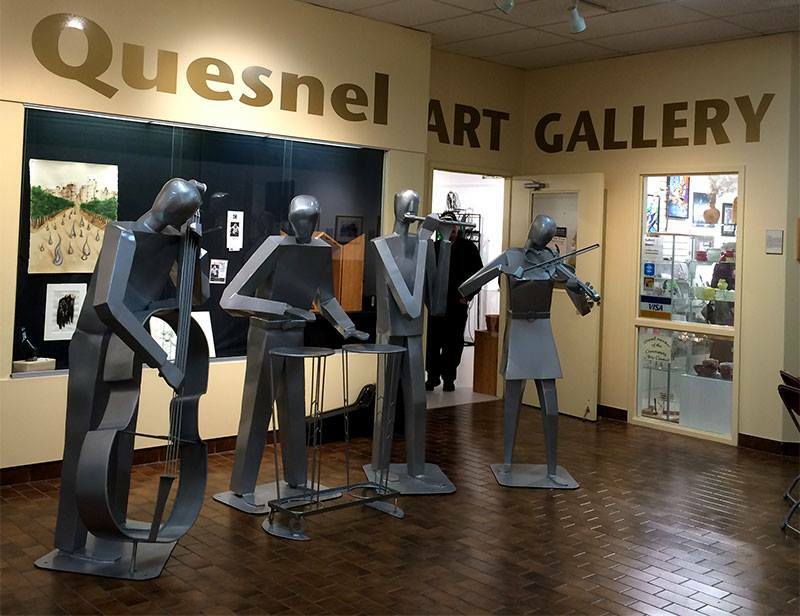 ​The Quesnel Art Gallery is a non-profit organization run 100% by volunteers. 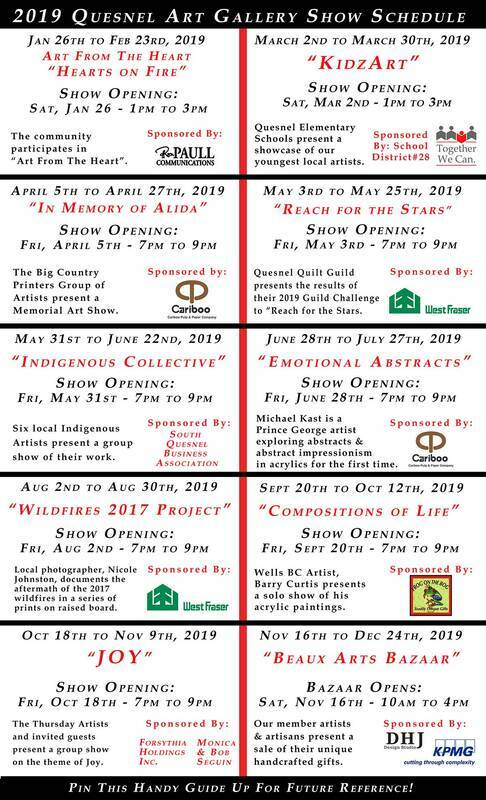 We offer a different show each month in our Gallery space. ​We gratefully acknowledge those businesses who sponsor our monthly gallery shows. We also wish to thank all those patrons, artists and volunteers who continue to support us in so many ways. The gift shop offers an impressive selection of original, local artwork that includes paintings, pottery, books, jewellery and more for gift-giving and self-indulgence. We are always looking for volunteers to help with window displays, communications, fund-raising, and a wide range of other activities. Thank you for Supporting YOUR Local Public Art Gallery!